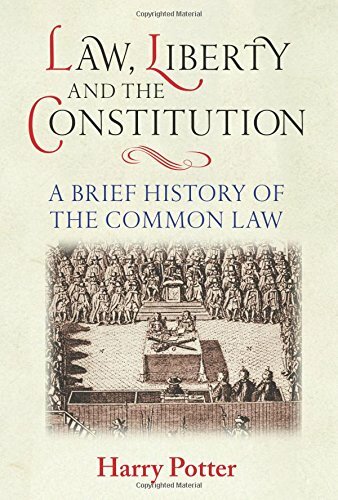 Like many others, I suppose, the incongruity of the name of the author of "Law, Liberty and the [British] Constitution: A Brief History of the Common Law" (The Boydell Press 2015) immediately caught my eye. The real Harry Potter, while not possessed of magical skills, is an excellent writer who makes over 1000 years of English legal history sufficiently interesting for most anyone who understands that the Anglo-American liberties we take for granted have roots far deeper than the modern human rights movement. Indeed, those fascinated with the rights enumerated in the American constitution would do well to read Potter's book for their historical context and their ambivalent position in contemporary Britain. With too much on my plate to give it a proper review, I can nonetheless commend "Law, Liberty, and the Constitution" to my readers' attention.